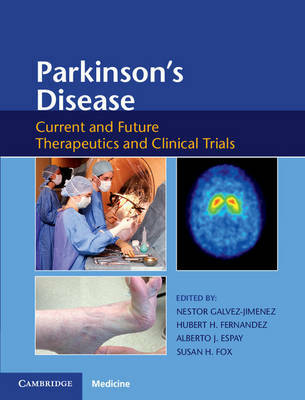 Author(s) Gálvez-Jiménez, Néstor; Fernandez, Hubert H.; Espay, Alberto J.; Fox, Susan H.
Parkinson's disease is no longer considered only a motor disorder. It has become evident that the pathological changes are broad, the progression seems to follow a pattern suggesting transynaptic transmission via templation of proteins in a prion-like fashion, and that these pathological changes usually antedate the motor symptoms by decades. This book emphasizes treatment options for Parkinson's disease, critically assessing pharmacologic and surgical interventions for all aspects of the disease. Evidence from randomized controlled clinical trials is highlighted to develop practical recommendations for clinical practice. Lessons learnt from clinical trials - and controversies and future challenges - are all addressed. Readers will find the necessary clinical and scientific foundations for the understanding of the disease, the underpinnings of the pathological processes, the identification of disease biomarkers, and the basis for solid therapeutics. Chapters are authored by an international team of specialists who bring their expertise to improving the management of this disease.